Explore Sydney and the beautiful Whitsundays for a spot of relaxation. In Sydney stay in a choice of hotels, either near to the gay district or overlooking Sydney Harbour. We’ll take you to Bondi Beach and the historic Rocks area as well as all the best photo stops to get a good orientation of the city. 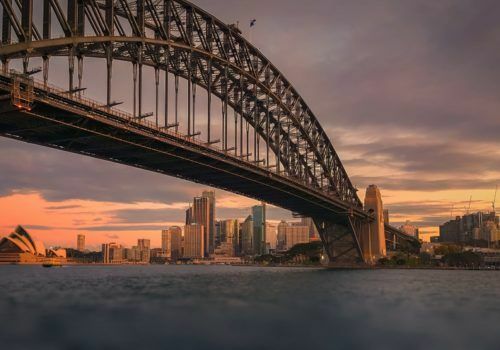 We can also arrange a number of other exclusive trips for you – be as adventurous as climbing the Sydney Harbour Bridge or jumping out of a plane, or perhaps you’d rather learn to surf on world famous Bondi Beach. After five days in Sydney, it’s time to head over to the Whitsundays and Hamilton Island. In a beautiful resort, you have a chance to enjoy the pool, the scenery and the beach as well as the opportunity to go snorkelling on the Great Barrier Reef. We can, of course, customise this entire itinerary for you so just use this as a template to create your perfect Australian adventure. Upon arrival into Sydney Airport, we’ll pick you up and take you to your hotel. Choose from a hotel near Oxford Street, the premier gay street in Sydney, or alternatively opt for a 5* property overlooking the harbour. In the afternoon, take a half day Downtown Sydney, Bondi and Kings Cross Tour which is a thorough introduction to Sydney and its neighbours. Tour through the historic Rocks area and take in views of the Opera House, Hyde Park, St Mary’s Cathedral, Parliament House and the Art Gallery. Stop at Mrs Macquarie’s Chair for magnificent views of the Opera House and Harbour Bridge. Visit The Gap and enjoy stunning views. Then it’s on to the world-famous Bondi Beach to enjoy the spectacular scenery. Join the coach for your return to Sydney, travelling through Paddington and the exclusive Eastern suburbs. The day is yours to explore at leisure. There’s so much to do in Sydney just ask us about added extras. Perhaps a helicopter tour or a walk up the Sydney Harbour Bridge? After some days at leisure, check out from your hotel and we’ll take you to the airport for your flight to Hamilton Island where you’ll be able to relax for a few days. Hamilton Island is the largest inhabited island in the beautiful Whitsundays, located just off the Queensland Coast. There are a wide range of restaurants, activities, shops and regular daily tours to the Great Barrier Reef and Whitehaven Beach. Located resort- side and in close proximity to Cats Eye Beach are the main pool and resort centre. At the resort, you have a choice of the Palm Bungalows or the luxurious 5 star Beach Club. If you opt for the Beach Club, you’ll have magnificent sea views and VIP service in a relaxed and contemporary beach house style. Your spacious bathroom will have a rain shower, freestanding bath and you’ll also have your own private terrace with gorgeous views over the Coral Sea. You’ll also have access to a private restaurant and lounge for Beach Club residents as well as an infinity pool. Today is your chance to explore the Great Barrier Reef. One of the great wonders of the natural world and a “must-see” for any visitor to the region, it was formed millions of years ago. The colourful living reef continues to grow and flourish just off the coast from the Whitsundays. Hundreds of different types of fish and hard and soft coral thrive in the sheltered lagoon. You’ll cruise around the Whitsundays and visit a pontoon which has a choice of areas to relax and a great range of activities. There is undercover seating and tables, sun decks for topping up the tan, freshwater showers, changing rooms and full access to the air conditioned comfort of our reef vessel. There are numerous ways to explore the reef, from the underwater viewing chamber, to the semi-submersible submarines, or snorkelling like a fish beneath the sea! The pontoons are adjacent to coral walls, the length of which you can explore. The sites have their own ecosystem with magnificent corals and a diversity of marine life found only in sheltered areas, providing a unique world for you to explore. The prolific fish life will surprise and delight you – especially the giant groper! It’s time to bid farewell and fly back to Sydney for your onward journey. But of course, if you’d like to stay a bit longer then we can arrange that too.